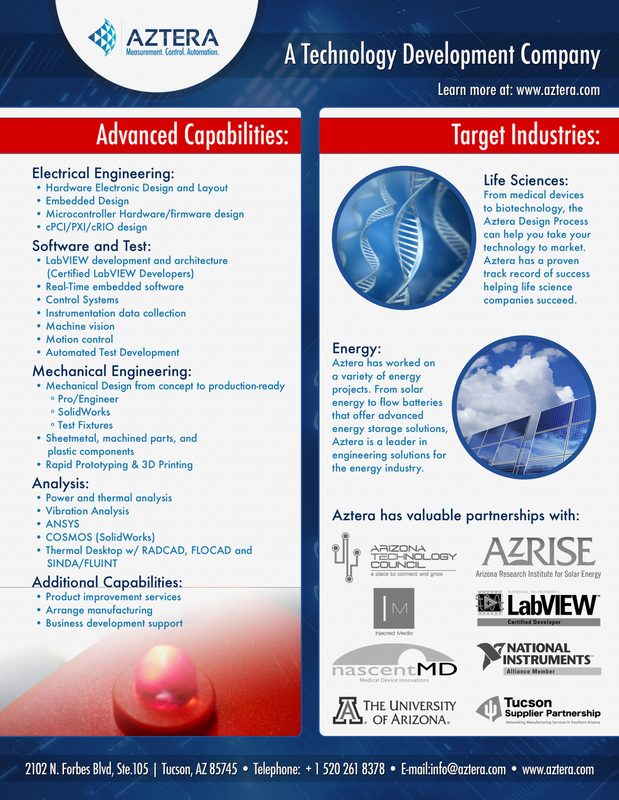 Aztera develops prototypes and helps clients learn from those prototypes quickly through test and measurement – a process that speeds up R&D – ultimately providing a market‐ready product in record time. The Aztera Process is all about agility. We focus on giving our clients exactly what they need. Instead of building the final product from the get‐go, we build smaller iterations that are proven to work. We work closely with clients and get their feedback at each step of the process. In the end, the client knows exactly what they are getting.